Nearly 75 percent of all new, emerging, or re-emerging diseases affecting humans at the beginning of the 21st century are zoonotic (i.e. originated in animals). Notable reminders of how vulnerable the increasingly interconnected world is to the global impact of new emergent diseases include HIV/AIDS, severe acute respiratory syndrome (SARS), the H5N1 strain of avian influenza, and the 2009 pandemic H1N1 influenza virus. The speed with which these diseases can emerge and spread presents serious public health, economic, and development concerns. It also underscores the need for the development of comprehensive disease detection and response capacities, particularly in “hot spot” areas such as central Africa, South and Southeast Asia, and Latin America where a confluence of risk factors may contribute to disease emergence. The Pandemic Influenza and Other Emerging Threats (PIOET) Unit supports two major lines of work: H5N1 Avian Influenza, and Emerging Pandemic Threats. H5N1 Avian Influenza: Since 2005, USAID has strengthened the capacities of more than 50 countries for monitoring the spread of H5N1 avian influenza among wild bird populations, domestic poultry, and humans, to mount a rapid and effective containment of the virus when it is found, and to help countries prepare operational capacities in the event a pandemic capable virus emerges. USAID’s efforts have contributed to dramatic downturns in poultry outbreaks and human infections, and a dramatic reduction in the number of countries affected; with five of these countries (Indonesia, Vietnam, China, Bangladesh and Egypt) as the primary reservoir of the virus. Although these successes are significant, the H5N1 virus remains a serious threat and sustained vigilance is required. Mindful of the need for vigilance USAID continues its efforts to build on its successes and further consolidate its programs in the highest risk countries. Emerging Pandemic Threats: As a complement to USAID’s work in H5N1, the PIOET Unit launched the Emerging Pandemic Threats program in 2009 to aggressively preempt or combat other diseases that could spark future pandemics. This second line of work is composed of four complementary projects operating in 20 countries — PREDICT, PREVENT, IDENTIFY, and RESPOND—with technical assistance from the U.S. Centers for Disease Control and Prevention (CDC). The EPT global program draws on expertise from across the animal and human health sectors to build regional, national, and local “One Health” capacities for early disease detection, laboratory-based disease diagnosis, rapid response and containment, and risk reduction. At the country level, the EPT partners are working with governments and other key incountry and regional partners to enhance the understanding of viral distribution and key drivers of disease emergence—from deforestation and land use change to wildlife trade and livestock product demands. This information, along with other EPT investments to strengthen country-level capacities for routine infectious disease detection and outbreak response, will be used to improve surveillance and response as well as risk-mitigation strategies. In March of 2016, I filed a FOIA to USAID for all documents pertaining to the accomplishments of this program. Although still an open FOIA request, I did start receiving documents in June of 2016. I will update this page as more records are released. U.S. foreign assistance has always had the twofold purpose of furthering America’s interests while improving lives in the developing world. 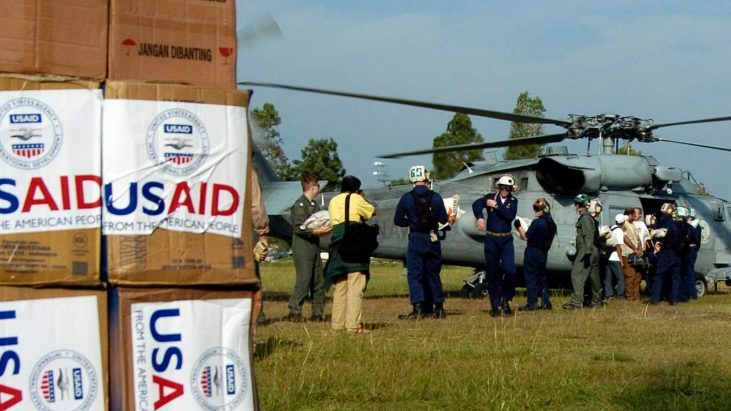 USAID carries out U.S. foreign policy by promoting broad-scale human progress at the same time it expands stable, free societies, creates markets and trade partners for the United States, and fosters good will abroad. Provide humanitarian assistance in the wake of natural and man-made disasters.